This is the day after, the day after. We’ve all slept the Sunday out and are ready for our day jobs again! Kathrine Nørrelund for putting up with me and being organized even when hangovered. Kenneth M. Nielsen (B|T) my partner in crime for spending more time with me than with his wife! Rasmus Reinholdt for making volunteers volunteering ! We had 227 registered attendees and 55 on the wait list, this includes sponsors and speakers. Unfortunately a lot of attendees never showed up, thus taking place for people on the waiting list. I can understand that something can come up so that you have to cancel your participation, but it can really piss me off that some people are so selfish that they bother cancelling when they know a long time in advance that they will never make it to the event. We know who those people are and we might add a trigger to their registration process next time. Or we might even add a no-show fee so we can capitalize on their laziness. From the session evaluations we got, we can see that the overall satisfaction was good – and it had nothing to do with the fact that they could win an Xbox One. I had the chance to speak with some of the attendees, many of the sponsors and the speakers and I didn’t get bad comments about the event. The sponsors got many contacts with people, the attendees some good networking and learning and the speakers a great day in each other’s company and a successful speaker’s dinner at Copenhagen Street Food. We ended up having organic hot dogs served and a SQL Brew – “don’t drink and code” edition – to flush it down. I (We) are ready for next year and we are also working on a bigger event to celebrate the launch of the new version of the product and platform that gives name to our event…Stay tuned for some news about SQL Saturday and the upcoming multi-day event codename: “DoubleDare”. Happy Monday and get ready for the Microsoft Cloud roadshow !! 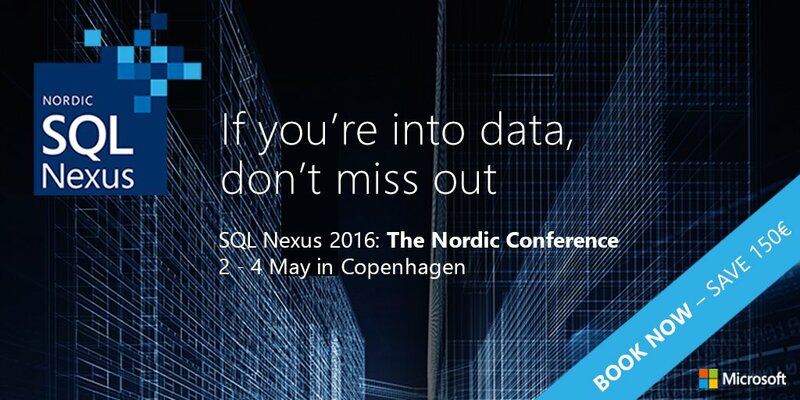 ← SQLSaturday Denmark (#sqlsat413) is approaching..